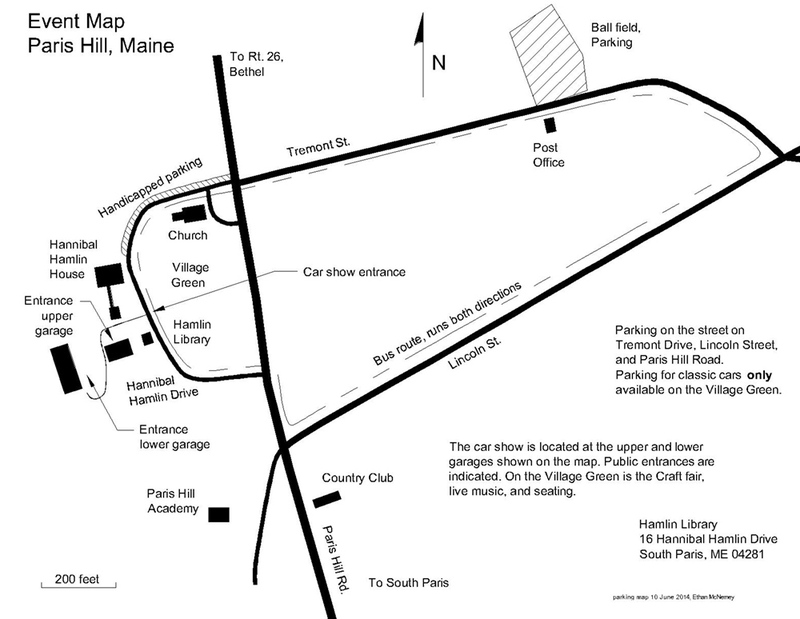 On the Green in historic Paris Hill, a Classic Car Exhibit, featuring the extensive private collection of Robert & Sandra Bahre, will again be offered exclusively to the public for the 41st Annual Founders' Day Celebration, to benefit the Hamlin Memorial Library & Museum. This 60+ vehicle collection features Packards, Duesenbergs, Stutz Bearcats, a Tucker, Thomas Flyer, vintage racecars, and much more. Live music will be provided throughout the day. There will also be plenty of food for sale – bag lunches, homemade pies and pastries, jams, jellies, pickles, maple syrup and many other treats. Craft fair vendors will be selling turned wood products, wood carvings, handmade jewelry, lapidary crafts, minerals, books, and a variety of other homemade crafts. There will also be tote bags, t-shirts, old photo reprints, and more items sold within the Hamlin Memorial Library and Museum. Admission to the classic car exhibit is $10 for adults and $2 for children 12 and under. All proceeds benefit the Hamlin Memorial Library & Museum. Here is a map of our Founder's Day Event - we will have these available on site but you may also print it out and bring it with you! Check out this promotional video from 2015 - it will give you a sneak peek of the fantastic collection. Enjoy!